We finally got our taste of sunshine for last month's 'Midsummer madness' themed Love Cake. If you missed the round up you can find it here. Draw your inspiration from your own travels around the world. However if you like to stay at home think of your dream locations. You may want to bake a Bolo de Fubá from Brazil or a Swedish prinsesstårta. Alternatively it may be all about the ingredients with spices from Asia and Africa and juicy fruits from the Caribbean. If you're not in the mood for baking tell us about the Sachertorte you ate in Vienna or the slice of Dobos Torte you had in Budapest. 1. 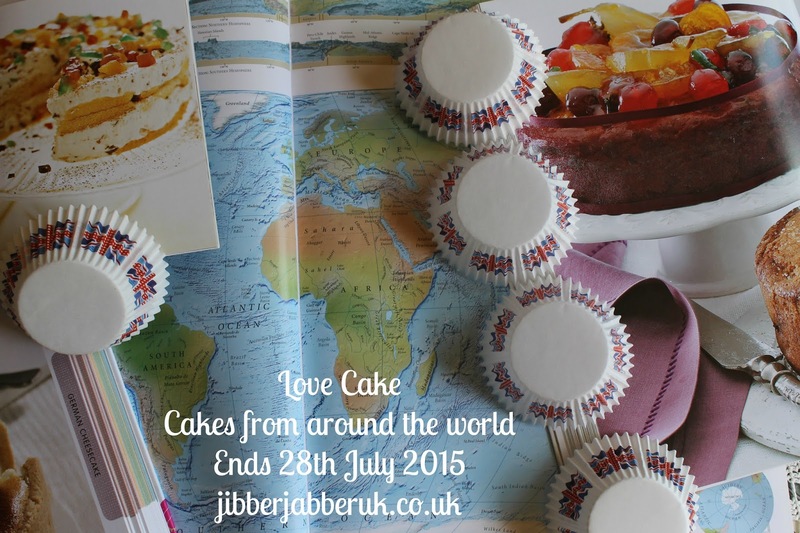 Please make sure your entry conforms to this month's theme of CAKES FROM AROUND THE WORLD. 3. Enter the URL (web address) of your post into the Linky at the bottom of this post. Once the link closes on Tuesday 28th July 2015 at 23:55 no more entries will be accepted.